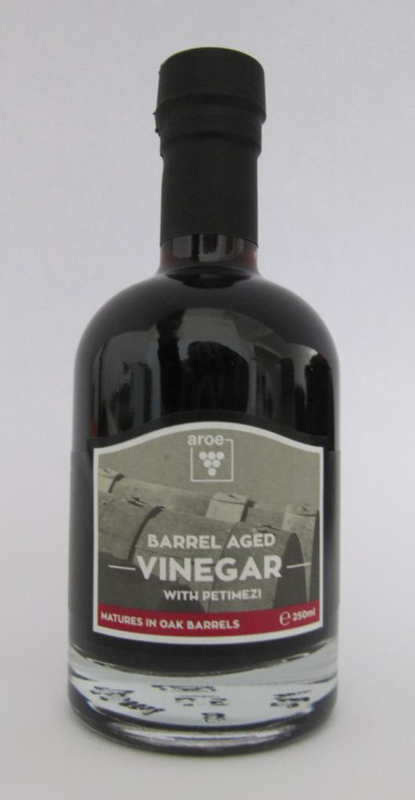 Our barrel aged condiment comes from barrel aged vinegar and petimezi from Mavrodaphne grapes. Our decision to use Mavrodaphne variety, a variety synonymous to the famous dessert DOP wine, was made after the conclusion that after its acetification, it could provide a complex result with a wealth of taste and aftertaste. Wine is acetified in small quantities without an industrial acetifier, using the method of Orleans, an old method adopted during the Middle ages. Petimezi (vincotto in Italian) is the result of slow boiling and thickening of fresh grape must in order to capture the grape must’s freshness. The condiment that emerges, after its stabilization, ages in a series of French oak barrels, adopting a variation of the solera method. Given its small and artisan production, our aged condiment is bottled by hand without automatic machines. This allows us to constantly check the quality of this premium artisanal condiment. Through the years of ageing, this condiment concentrates and attains complex character. 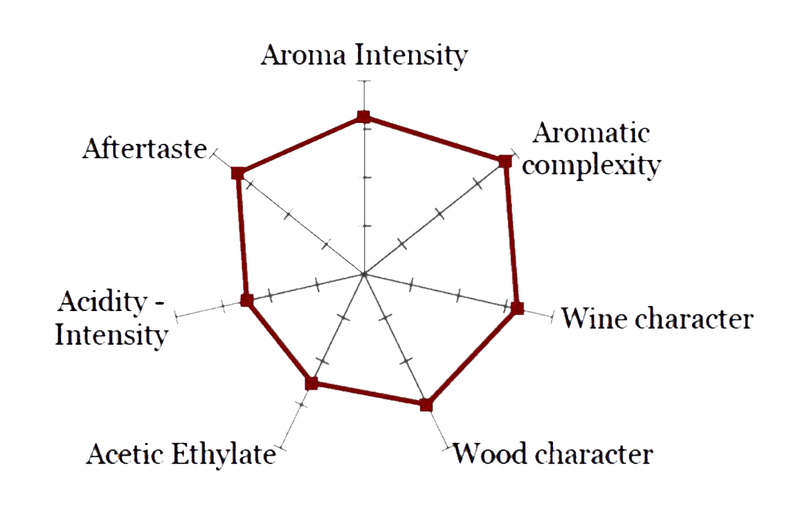 Its nose (bouquet) can be characterized from dried fruits, raisin, smoke and wood whereas in the mouth (taste), it reveals sweetness that is balanced with acidity. Its acidity remains low, with regards to gastronomy and wine, so that it blends and interferes with other tastes and does not cover everything else. Our barrel aged condiment is ideal for game marinades, as well as everyday dishes such as chicken, pork, green leaf salad, asparagus and their vinaigrette. Glass bottles of 250ml with T-cork with pourer. Bottle size (height x diameter in cm): 16,5 x 6,9 / Weight (gross): 590gr approx. Carton box with 6 bottles / Dimensions (in cm): 21,2 x 14,1 x 16,8 / Weight of box (gross): 3,3 kg approx. Shelf life: 36 months / Ideally kept in cool and dry place. Nutrient value analysis, cork declaration of conformity and other certificates available on request.